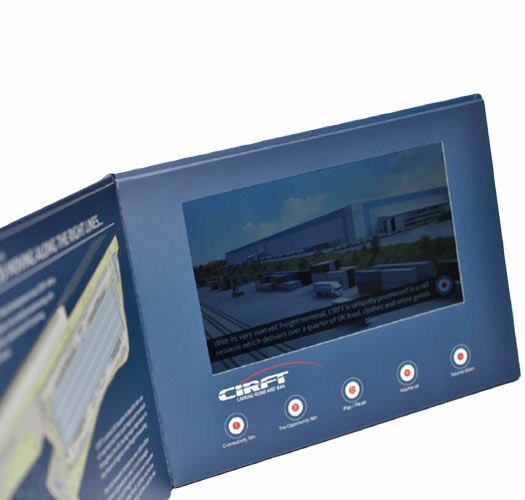 Embed a video player directly in your printed product! One of the newest products offered from Corporate Disk Company. 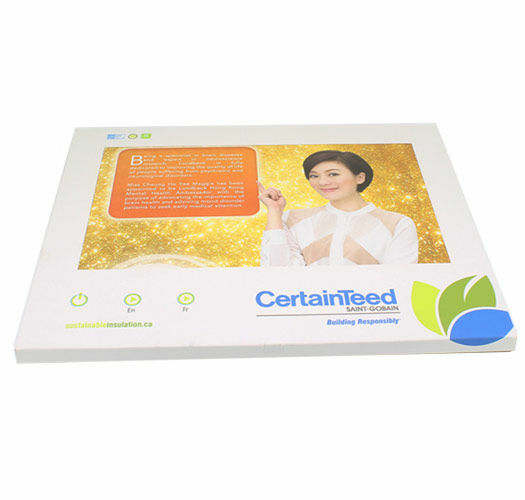 Known as Printed Video, or embedded video, where we embed a portable video player directly into your print products! Fully customizable, create a custom Printed Video & Embedded Video product that is sure to leave your customers and future prospects dazzled. With full control options, automatic play options, and a large amount of space, this is the perfect product solution to present your videos to your clients in an extremely unique way. 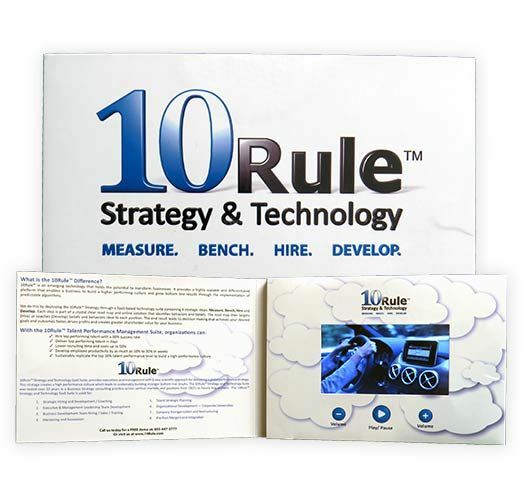 With our Printed Video Duplication Services, you can get small and large print runs, and we can completely customize the look and feel of your product. Mix it up with a number of printing and finishing options to compliment your artwork and make for a stand-out product. Corporate Disk Company offers Printed Video & Embedded Video Duplication Services to leverage your video to be viewed from your printed material. Work closely with our representatives who will give you all the specifications, provide you with accurate price quotes, and also show you some examples, so you can be sure you are ordering and creating the perfect product for your vision. 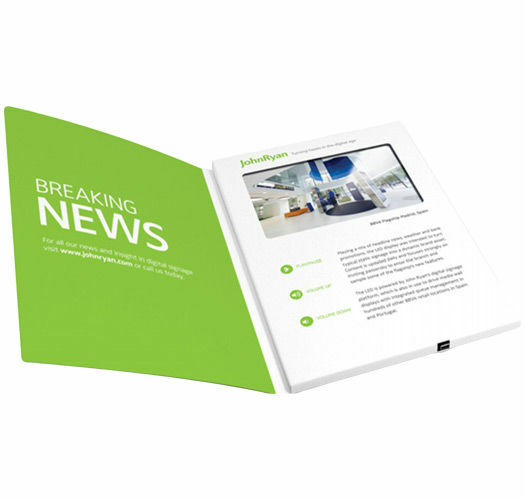 Dazzle prospects and your customers, with a video player directly embedded into your print product! 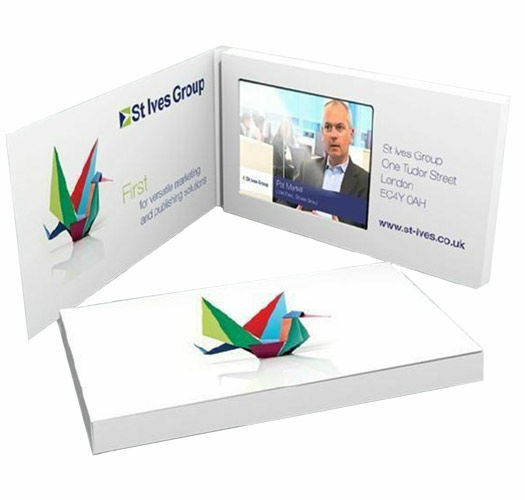 Print your Printed Video in both small or large runs, we can handle small orders of 50 to large orders of 100,000 or more! Optimized for high-quality playback and audio. We provide you with product specs to ensure the best quality product.